There are times when a dog’s nose is dry which is perfectly normal and therefore there’s no reason to be concerned about it. However, there are other times when a “dry nose” might be an indication there could be something going on and therefore you need to be concerned. If you are at all uncertain, a quick trip to the vet would be in order. Is Your Dog’s Nose Dry First Thing in the Morning? You may find that your dog’s nose is quite dry first thing in the morning when they wake up and this is perfectly normal. The reason their noses are dry is because when dogs are asleep they don’t lick them which they constantly do when they are awake. The result is that not enough moisture flows in their nasal areas when they are asleep. You will find that within 10 minutes or so of them waking up, their noses will be back to normal – but if they remain dry, a visit to the vet may well be in order. When the weather is cold, heating in houses tends to get turned up. 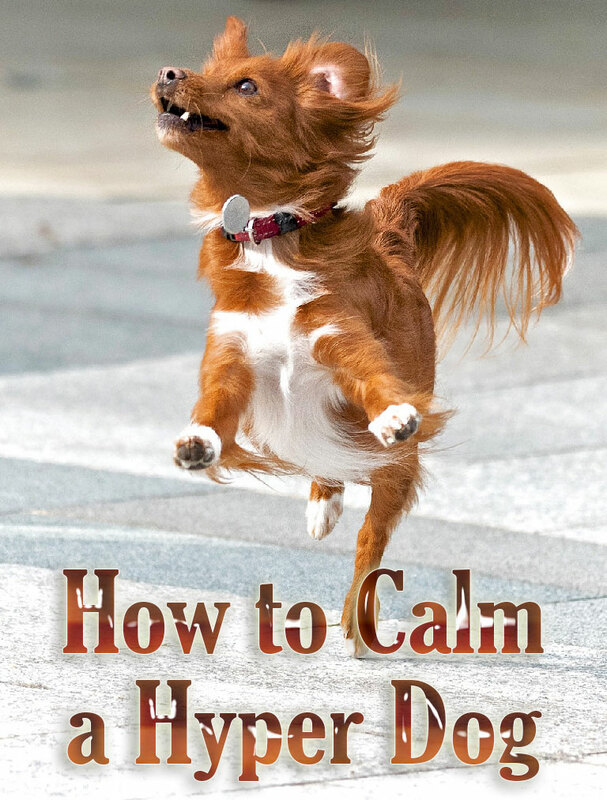 Radiators warm up and open fires blaze away which is where you might find your dog likes to stretch out so they can soak up the warmth. The problem is that if they get too close to a radiator or a heater, it can make their noses pretty dry looking. 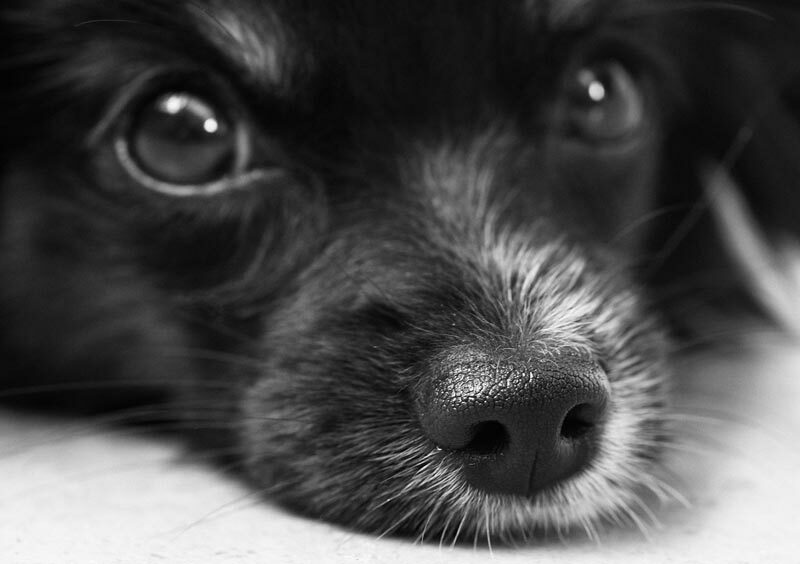 In a worst case scenario, you may find your pet’s nose is quite cracked too. You need to keep an eye on them and make sure your dog’s nose goes back to normal and if it does not, then you could put a little dab of vaseline on it as a way to stop it from cracking. 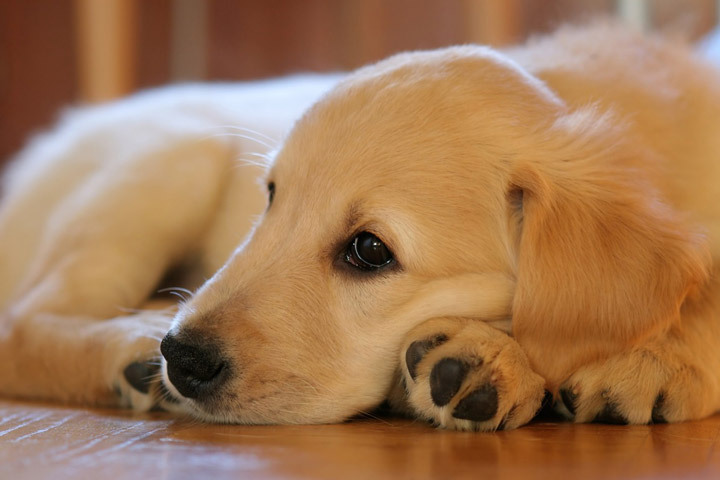 If your dog suffers with some sort of allergy, all too often they also have quite dry noses. 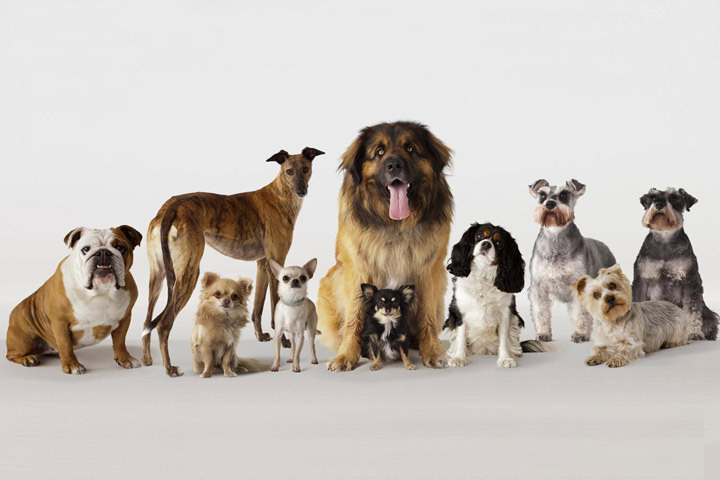 The chances are your pet is being treated by the vet for their condition and you should mention your concern to them so they can prescribe a treatment to help resolve the dry nose issue. However, to prevent their noses from cracking you can just dab a little vaseline, shea butter or coconut oil on them until you get your pet to the vet. Something that many owners do not realise is that plastic is one of the biggest reasons why dogs suffer from a dry nose. Dogs fed out of plastic bowls often have dry noses and nearly half of all dogs do suffer from some sort of allergy that’s associated with them coming into contact with plastic. The same goes for plastic water bowls! By simply changing a plastic bowl to a stainless steel or even a ceramic bowl, will normally see their dry nose problem clear up pretty quickly. Stainless and ceramic food and water bowls are much easier to keep clean and this eliminates any potential allergen problems associated with dogs coming into contact with plastic. You may also like to consider throwing away any plastic toys and investing in some good quality rubber ones instead! When the weather is hot, it is worth investing in a good quality canine sunblock that you can put on your pet’s snout to prevent it from getting sunburned. People often forget that pets too can suffer quite serious sunburn if they stay out in the sun for too long. 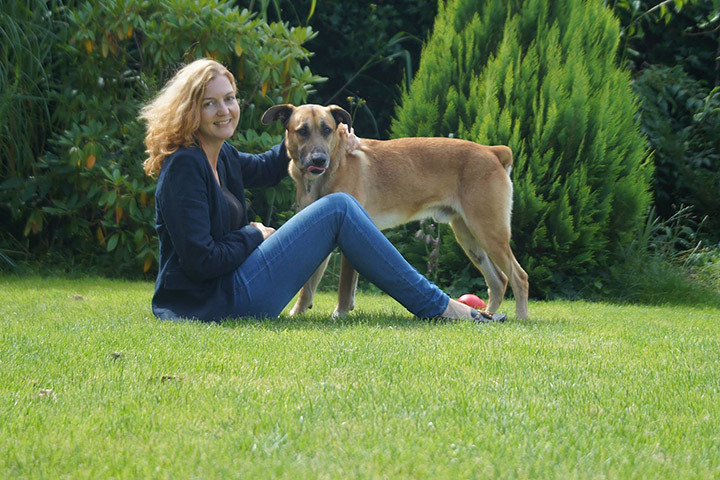 A dry nose in the summer could be an indication that your pet has been outside for too long! You need to protect your dog because just like people, they can develop nasty skin cancers which includes on their noses! However, never use human sunblock on your dog unless it is one specifically formulated for use on babies because these will not contain any toxic ingredients that could be harmful to your pet. But with this said, it is far better to invest in a sunblock that’s been specifically formulated for use on dogs. 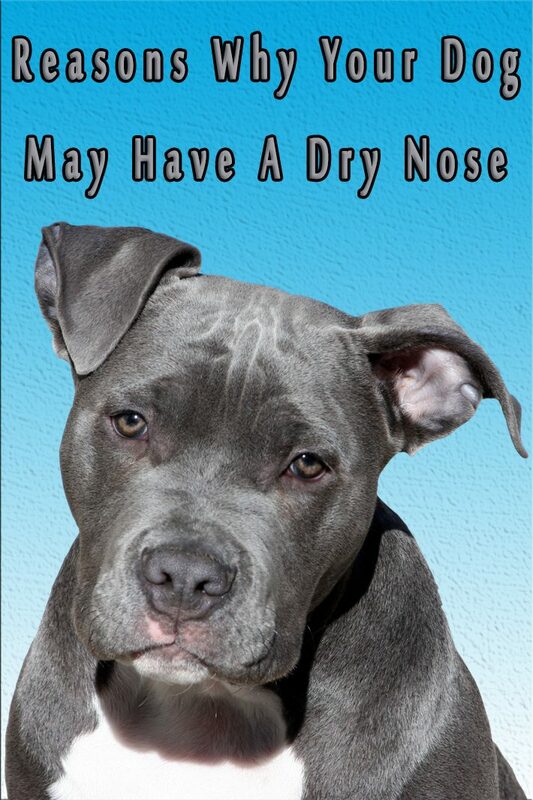 One of the more serious reasons why your dog may have a dry, cracked nose is due to the fact they are dehydrated. If your dog does not drink enough water they will soon become dehydrated and one of the obvious signs is a very dry nose, If they are not given access to fresh clean water as soon as possible, the condition worsens and this can seriously impact your pets internal organs, namely their kidneys. But other organs could be compromised too and will gradually shut down which then causes your pet to go into shock. Dogs, just like all other living things need to have free access to fresh clean water so they stay hydrated and healthy. If you notice your pet has a particularly dry nose and they are off their food, a trip to the vet would be in order to find out if there is something untoward going on. A dry nose first thing in the morning is perfectly normal and it will normally get nice and moist a few minutes after your pet’s woken up. 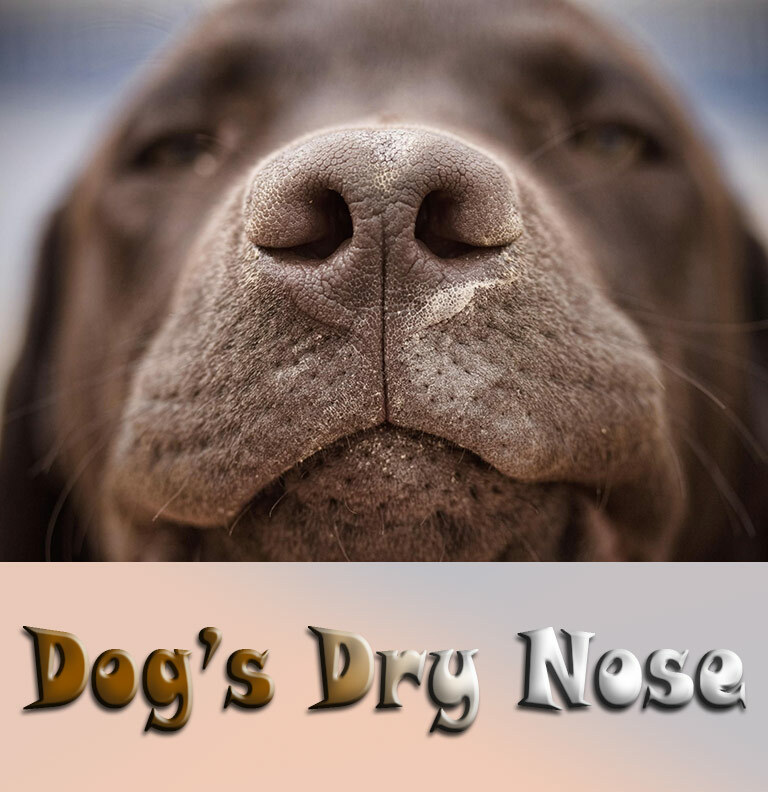 One of the more serious reasons why dogs get dry looking noses is due to the fact they could be dehydrated which is a serious condition that should never be taken too lightly.